This unusual traditional sweetmeat from northern Italy has no sugar added – the sweetness comes from the fruit. I have used sapore to fill shallow tarts in the manner of an old-fashioned jam tart, complete with twisted pastry strips in a criss-cross lattice, and have served it as a preserve alongside a plain cake. It keeps for months and is less likely to stick to the cooking pot if made in a reasonable quantity. Make this sapore recipe in the autumn when all the ingredients are in optimum condition. I like to use a liqueur such as a muscat from north-eastern Victoria, or an oloroso sherry. 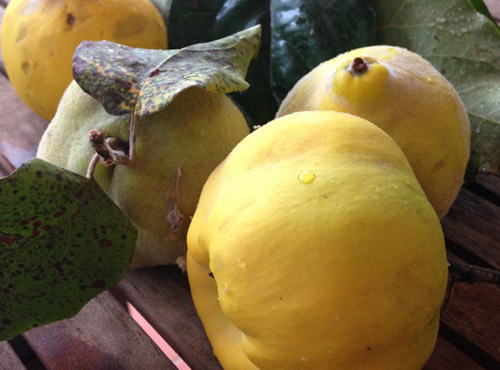 Combine grape juice and quince in a heavy-based non-reactive pot and bring to a boil. Reduce heat, cover and simmer for 30 minutes. Peel and dice apples, then add to pot with grapes and zest. Cover with a round of baking paper and a lid and simmer for 1 hour. Remove lid and paper, add pumpkin and increase heat to moderate. Cook on a simmer mat for about 30 minutes, stirring frequently to prevent sticking, until pumpkin is tender and some liquid remains. It should look ‘jammy’. Stir in chestnuts, raisins, pine nuts and liqueur and simmer for 5 minutes. If the sapore is for long-keeping, transfer immediately to hot, sterilised jars and store in a cool place; otherwise, refrigerate, covered, and use as required.